Along with The Audrey Hepburn 7-Movie Collection, The Paul Newman 6-Movie Collection was also released on DVD last week from Paramount. The six films included in the set are Hud (1963), A New Kind of Love (1963), Fat Man and Little Boy (1989), Nobody’s Fool (1994), Twilight (1998) and Road to Perdition (2002). While a lot of Newman’s most iconic films are not included here, with Paramount not having the distribution rights to such classics as The Hustler, Cool Hand Luke, Butch Cassidy and the Sundance Kid, The Sting and The Color of Money, to name just a few, this is still an interesting selection of his work that showcases both his more famous and lesser known roles. The two best and most well known films included in the set are Martin Ritt’s classic drama Hud and Sam Mendes’s gangster saga Road to Perdition, both of which got him Oscar nominations for Best Actor and Best Supporting Actor, respectively. Newman also received an Oscar nomination for his leading role in the underrated Robert Benton drama Nobody’s Fool, which is considered to be one of the finest performances from the later stages of his career. A set like this is really only scratching the surface of Newman’s legendary career, which spanned from the 1950s pretty much all the way up to his death in 2008, especially considering all of the classics he appeared in that aren’t included amongst these six films. But this is still a worthwhile and well packaged set that, with the presence of classics like Hud and Road to Perdition, offers a fine introduction to his vast filmography. The six discs are in a standard-size plastic case that comes with a slipcover. 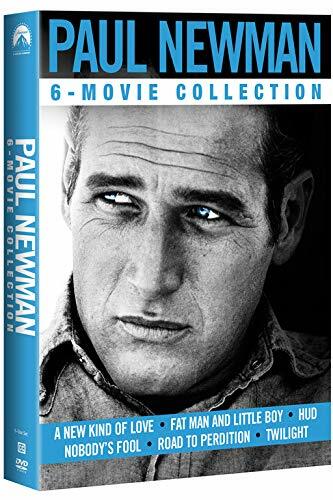 The Paul Newman 6-Movie Collection is a Paramount Home Media Distribution release.